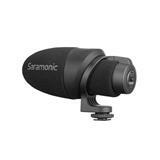 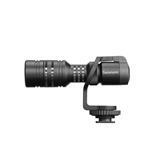 SR-M3 On-Camera Shotgun Microphone for DSLRs, Mirrorless, Video Cameras. 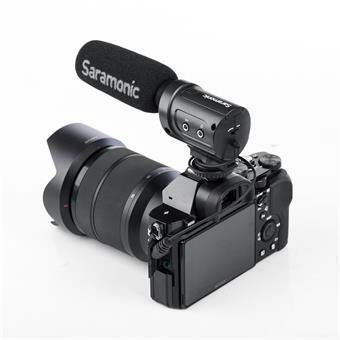 The Saramonic SR-M3 is an amazingly affordable on-camera shotgun microphone that delivers broadcast-quality sound to DSLRs, mirrorless cameras, video cameras and audio recorders and provides a versatile array of useful features. 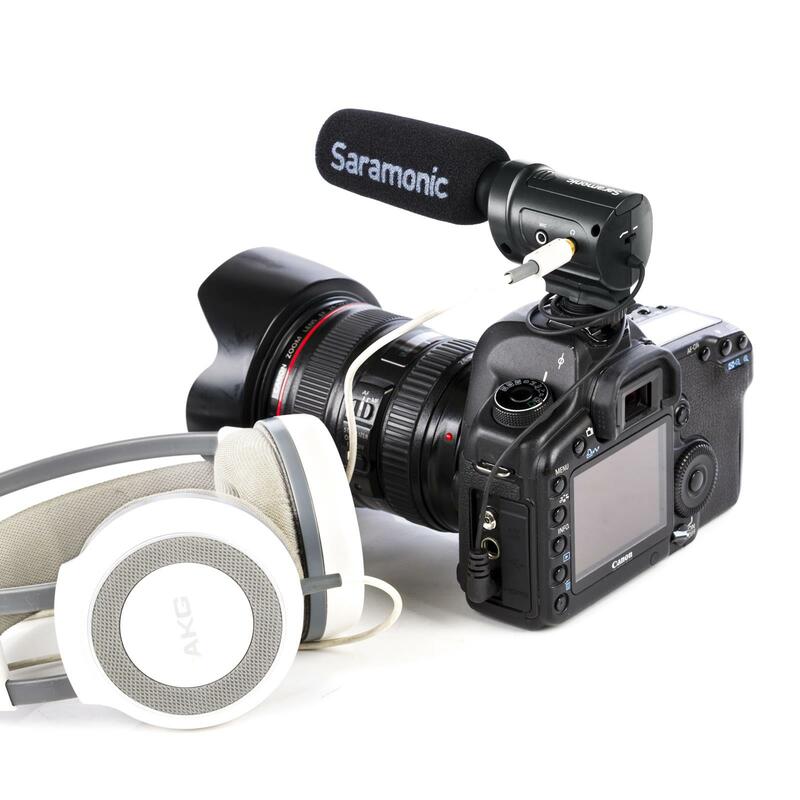 The SR-M3 features a headphone output, so you can always hear your sound — even when your camera lacks a headphone jack. 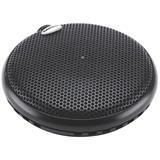 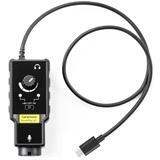 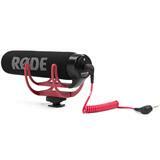 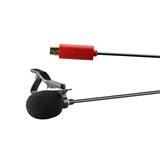 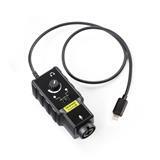 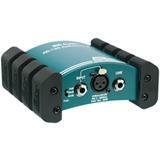 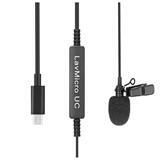 An additional 1.8” (3.5 mm) microphone input enables you to plug in a second microphone. 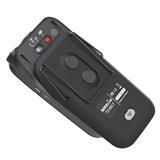 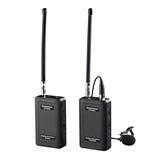 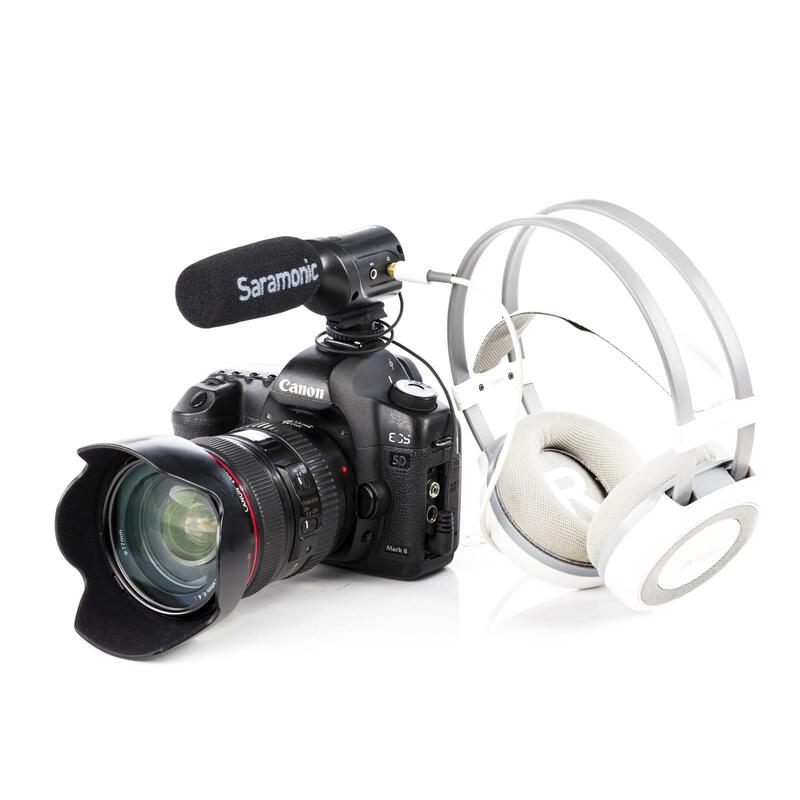 If your camera only has a single mic input, the SR-M3 enables you to use two. 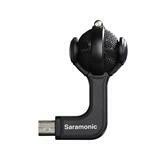 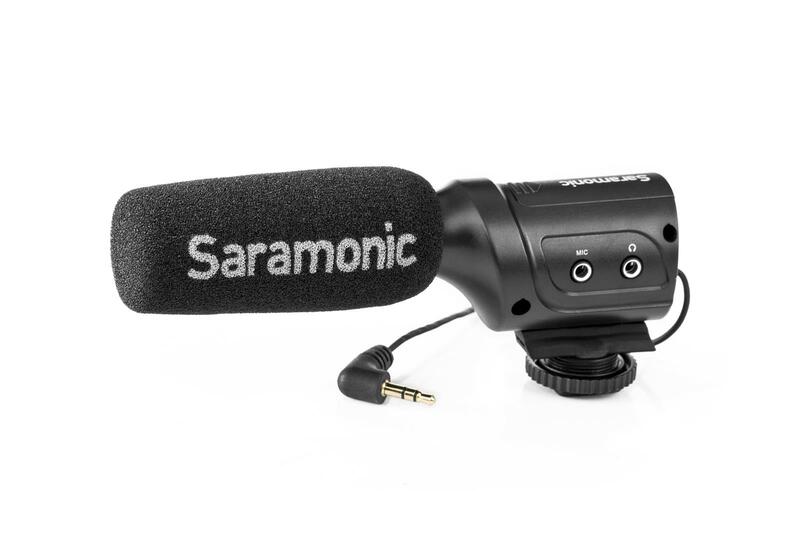 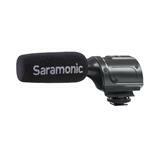 You can connect a clip-on lavalier mic, like the Saramonic SR-XLM1, or an additional shotgun, like the Saramonic SR-PMIC1. The SR-M3 also has a +10dB boost switch that allows you to turn down your camera’s noisy preamp in order to capture much cleaner sounding audio as well as letting you pick up subjects from further away. 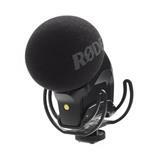 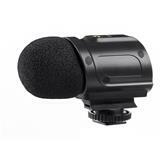 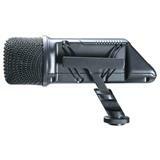 Thisis an excellent sounding shotgun microphone that delivers rich and clear audio. 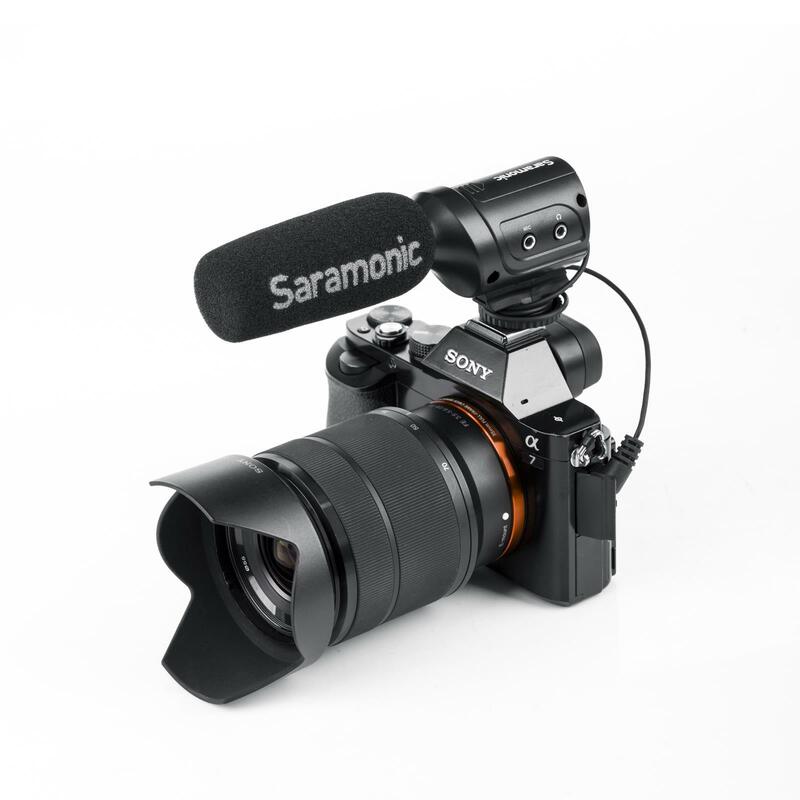 It’s compact, it has an integrated camera-shoe mount, and the wired output cable is impossible to leave behind after a shoot. 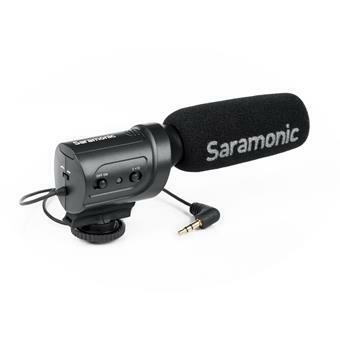 The built-in mount features a metal 1/4 20 tripod thread that gives you even more mounting options, and the integrated shockmount isolates the microphone from vibration noises. A low-cut switch on the back of the SR-M3 makes dialog more intelligible and eliminates distracting noises like the low rumble of vehicles. 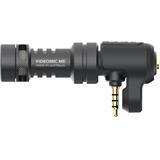 The additional headphone output on the SR-M3 can also be useful even if your camera does have a headphone jack. 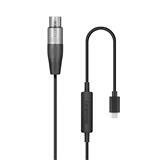 The headphone output on the SR-M3 is fixed at a comfortably high volume, and it’s probably louder and easier to hear than the headphone jack on your camera. 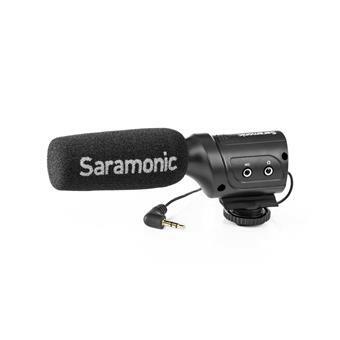 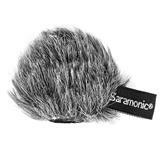 A foam windscreen is included for indoor use, and for outdoor recording in higher winds you can use the M3-WS fitted furry windscreen that was designed for the SR-M3 (sold separately). 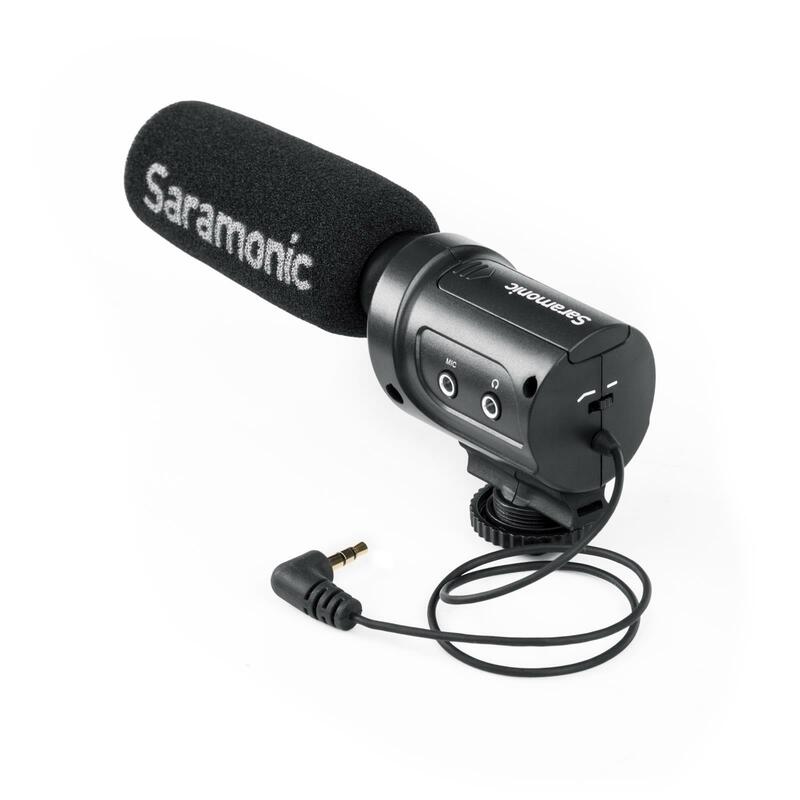 This is an impressively affordable microphone that sounds great and extends the capabilities of your camera or audio recorder in meaningful ways.